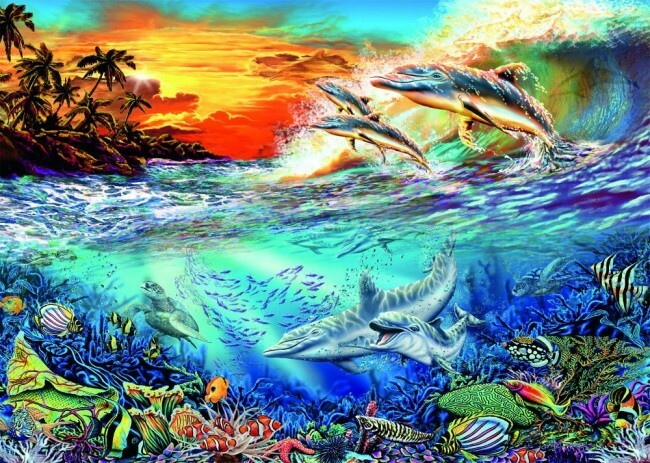 A stunning underwater scene full of detail. Dolphins leap from the waves under a beautiful sunset whilst colourful tropical fish nibble at the vegetation. 500 piece puzzles are a great starting point for younger puzzle fans who may be ready to graduate from 200 piece puzzles and Schmidt puzzles are a great choice due to their varied pieces.